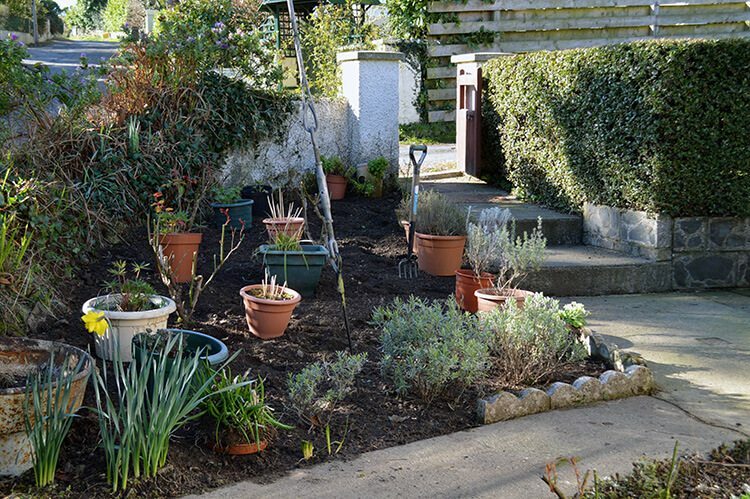 The beginning of this year saw me pondering the triangular garden bed at the front of the house. Last year it was a headache due to its infestation of weeds that continued to strangle the plants I’d placed there. What I wanted was something colourful, wildlife friendly, and most of all, low maintenance. 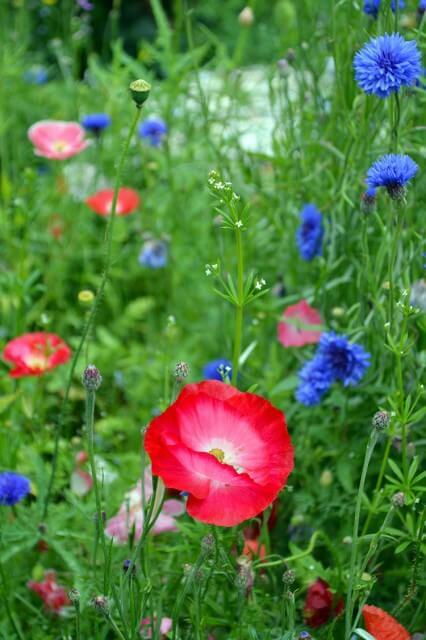 I decided on growing a wildflower cottage garden for the bees and butterflies. 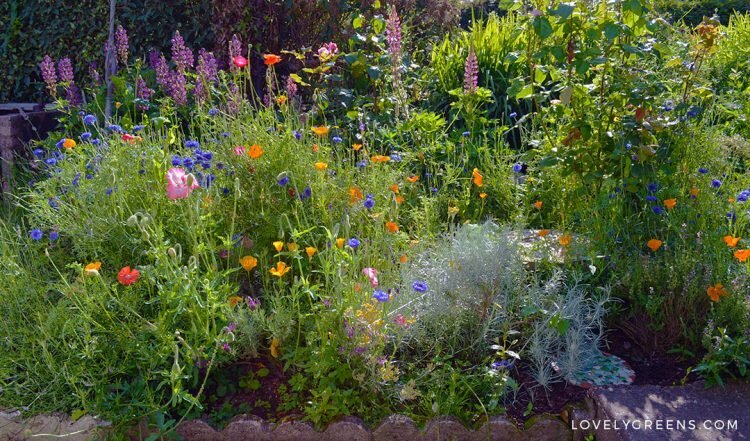 The idea of a wildflower garden popped into my mind after thinking about the wildflower meadow I helped create with my Allotment (community garden) association. Other than a haircut twice a year, that planting doesn’t require much work and the bees love it! 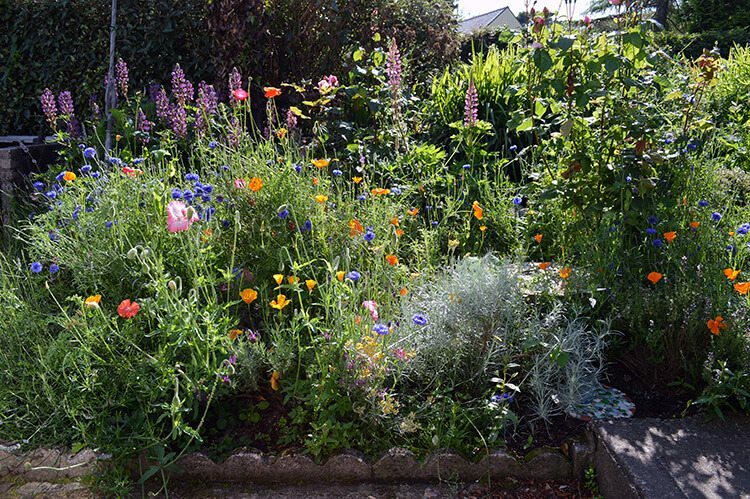 I knew that I also wanted to grow some traditional cottage garden flowers but if they could be mixed into a thick crop of wildflowers I might not need to weed the bed very much and it could still thrive and look beautiful. I had some packets of wildflower seed already but I wasn’t sure how viable the seeds would be since they were more than a few years old. 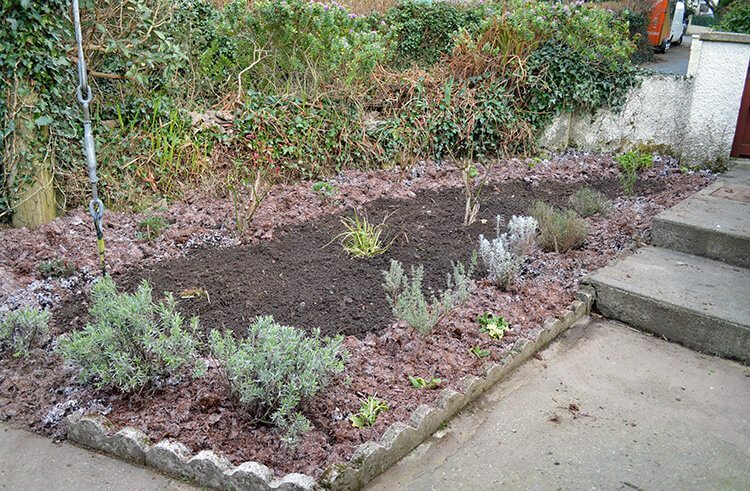 I decided to sow the space with the wildflower mix and part of a new packet of Cornflowers. 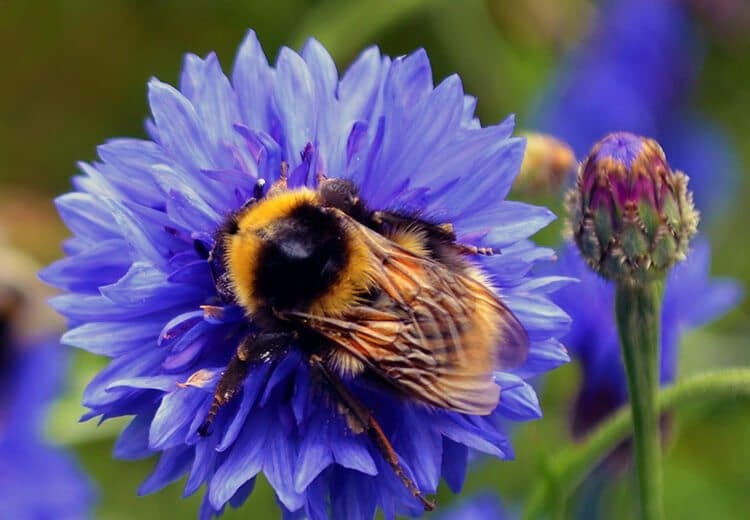 They’re a favourite with both honey and bumblebees and I love their cheerful blue colour. I’d also picked up a packet of California Poppies at our annual Seed Swap so on a whim mixed those in too. Now in August, the Cornflowers and California Poppies are still going strong. Each month has seen the Wildflower Garden continue to transform with it sometimes being like a green jungle and at others a colourful display of sweets. What I’ve noticed most of all is the buzz coming from this patch. Honeybees, Bumblebees, and all sorts of insects have made it both their home and their buffet table. I’ve also placed a handmade bird feeding table in the centre since my cats would have a hard time surprising the birds there in the thick growth. The below sequence of photos shows the transformation of the patch from February to August of this year. I’ll most certainly be planting the bed in the same way next year but with a few changes – perhaps a slightly sparser sowing of wildflower seeds, moving my Hostas from the interior to the sides (where I can check them for slugs easier), and bringing in a second layer of Mushroom Compost for mulch. 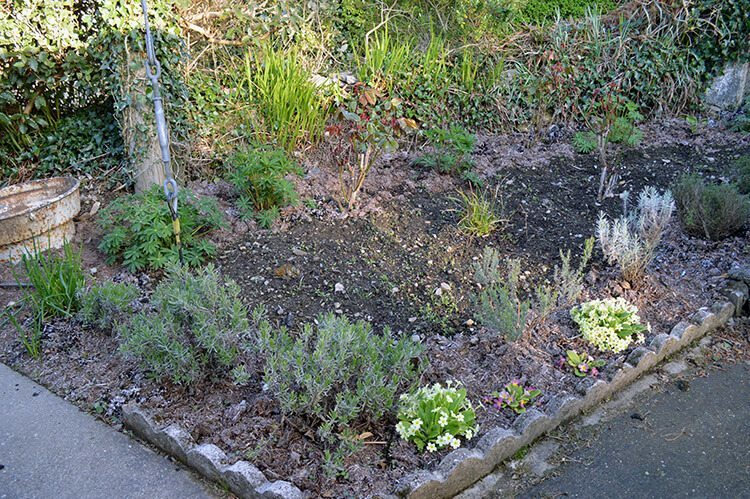 The mulch was amazing in keeping the weeds on the outer edges down but five months on and it’s nearly disappeared into the soil. The patch was bare and covered in weeds and dead growth. 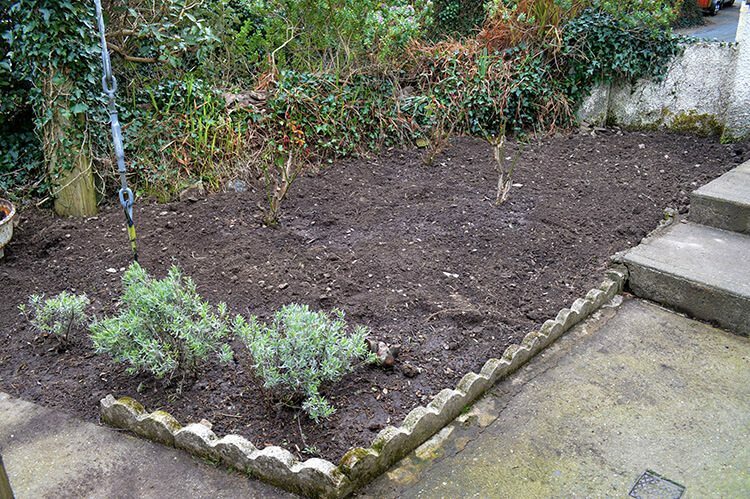 At this time I dug up the perennial plants from the soil, pruned the rose bushes down hard, and tidied the space up as much as possible. 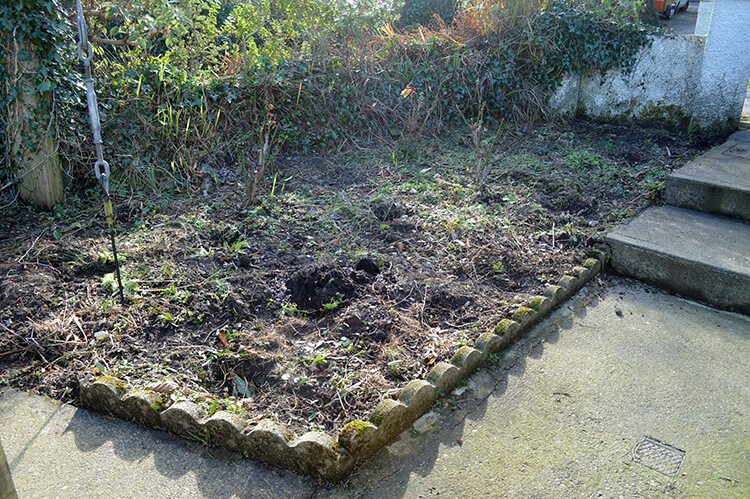 This was the hardest part of the process – digging out all of the perennial weeds including Bindweed and Creeping Buttercup. After the soil was clean, I replanted the lavender along one side of the bed. From there I moved the rest of the perennials in by first arranging their pots where I thought they should go, rearranging a few times, then digging them in. 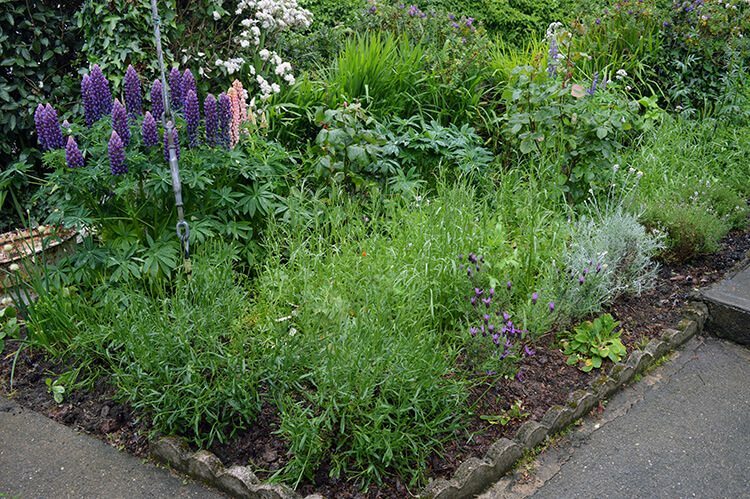 Most of the perennials form a border with just a few in the middle. The plants I have in this bed, aside from the wildflowers, include Lupins, Lavender, Thyme, Feverfew, Hostas, Astrantia, Roses, Welsh Onions, and Curry Plant. 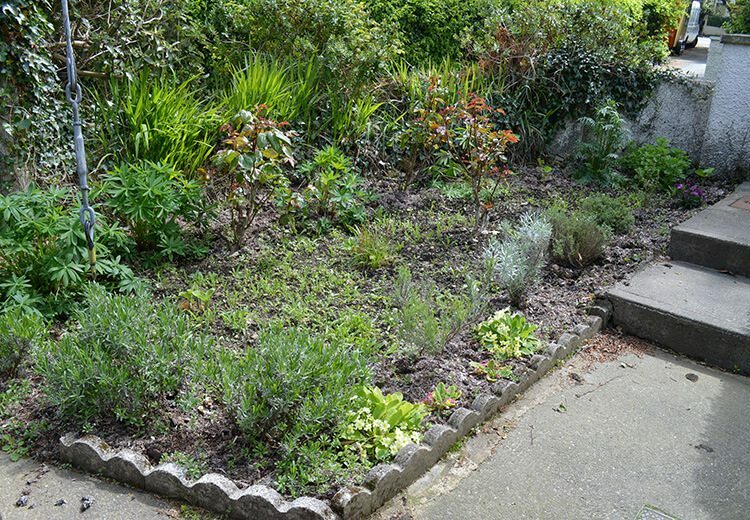 I mulched the perennial plants with Mushroom compost to help keep the weeds down and provide a crop of mushrooms. Mushroom compost is the spent compost on which commercial mushrooms are grown. 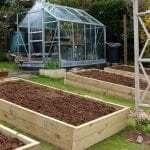 It’s essentially sterilised manure and other organic material that cover the soil that weed seeds are lurking. 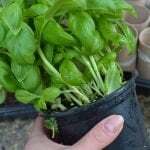 It will also produce quite a few mushrooms once you spread it around in your garden (bonus!). If you have a mushroom farm around you, inquire into whether they sell bales of it to the public. The bare soil in the centre is where I sowed the seeds. I spread them around relatively thickly since I wasn’t sure what the germination rate would be. After a light raking in, I watered the area and pretty much left it to its own devices. 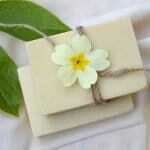 The Primroses were in bloom and the wildflower seeds had sprouted all over the bare soil. The perennials were also settling into their new spots and beginning to put out fresh green growth. The patch continued to flourish and I left the seedlings to grow as they pleased. I did not thin them out but I may consider it next year since I feel that some of the flowers in the mix were strangled out by the Cornflowers and Poppies. Still, not thinning does work and survival of the fittest has resulted in a lush flower bed. This month brought the first blooms of Lupins, French Lavender, Curry Plant and Thyme. Most of the wildflowers were only green leaves and shoots and I was wondering when I’d see any blossoms. 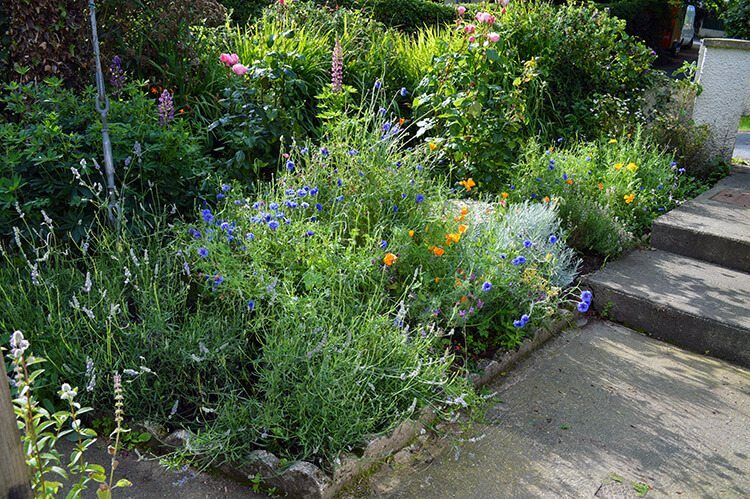 Cornflowers, Poppies, Feverfew, and other mixed wildflowers bloomed in July while the Lupins slowly faded. This was definitely the most colourful month for my planting. 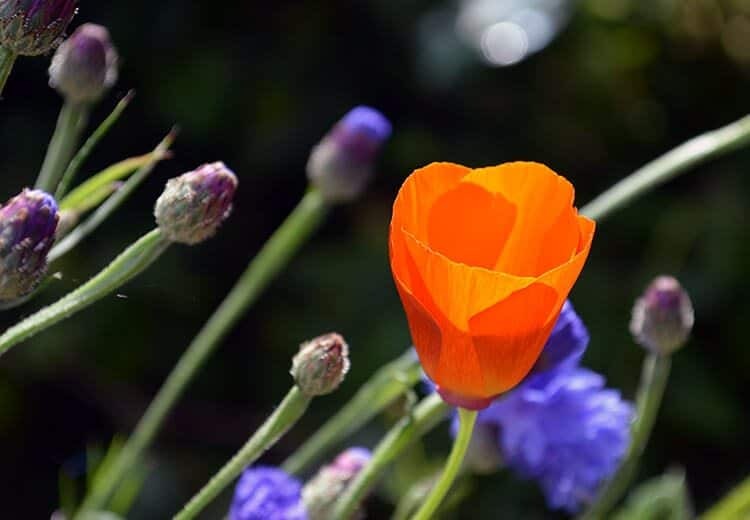 The Cornflowers and California Poppies are continuing to flower alongside Calendula, Roses, and English Lavender. There are now more bees than ever and though I’ve had to remove a lot of the wildflowers and more than a few handfuls of Goose Grass the patch continues to bloom and grow. There are plenty of weeds in there still but the overall effect is pleasing and I’m not too distressed about weeds unless they start competing with the plants I intended for the area. 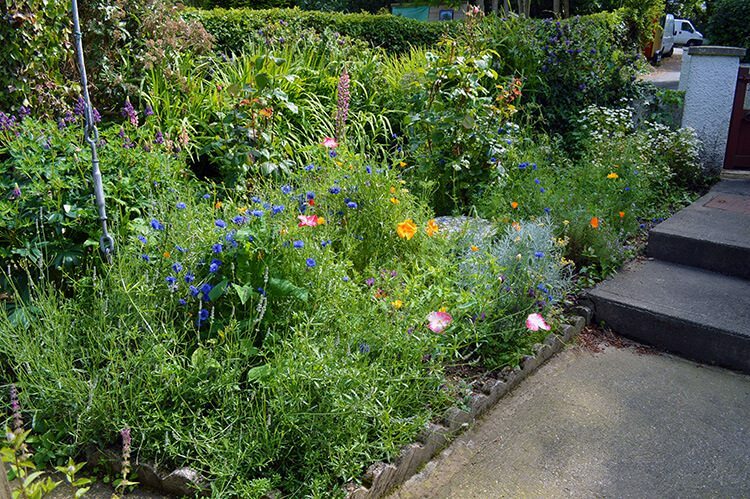 I consider my wildflower cottage garden a success and I can see this style of planting in my life for a good many years. Aside from its low-maintenance, colour, and attraction to wildlife, I’ve also been able to use some of the flowers for bouquets. 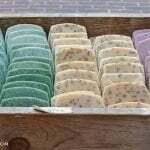 Yesterday I even pressed flowers in the pages of a thick book and once dried I intend to use them to make handmade cards. If you’re thinking about growing a similar patch I strongly encourage you to do it. It’s a simple and easy way to create a beautiful and cost-effective feature that everyone will love, people and animals alike. 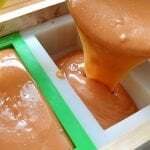 There are very few cons that I can think of and if you stuck to local varieties you would also be helping to support your own local diversity. 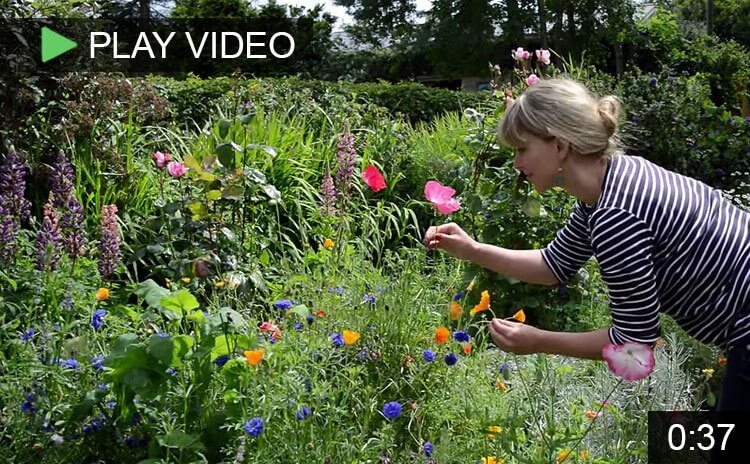 So many reasons to get a move on planting up your own Wildflower Cottage Garden! I definitely agree that your wildflower garden is a success. It’s absolutely beautiful! Honestly, I’m sold on this type of gardening because you talk about how this is such low-maintenance but so full of color and life. Overall, it gives such an organic and natural look to your landscape, which is a lot more interesting and fun. Thank you for sharing! Beautiful. I love wildflowers. Some see them as weeds but I like their meandering ways. You did a great job showing everyone how easy it is to put a lovely garden together in a short time. Your photos are amazing! That bee…how did you get that? Just beautiful! And of course, the garden is, too. Just lovely! 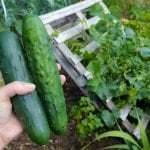 you have a wonderful garden! It’s great to see how your patch looked over the past six months, Tanya. I’ve tried wildflower meadow mixes before and found there’s always a couple of plants that dominate. 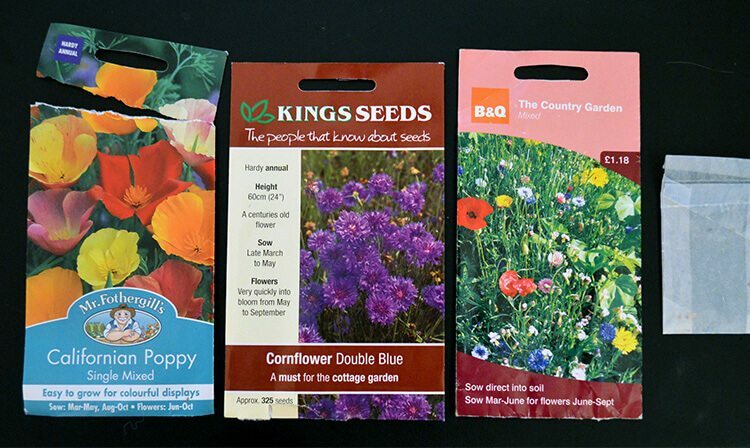 Now I plant or sow specific ‘wildflower’ seeds in drifts to get the same effect, sometimes in pots as well as garden, and next year I’m thinking of raised beds of pollinator friendly flowers so that the garden still looks tidy for the rest of the community! 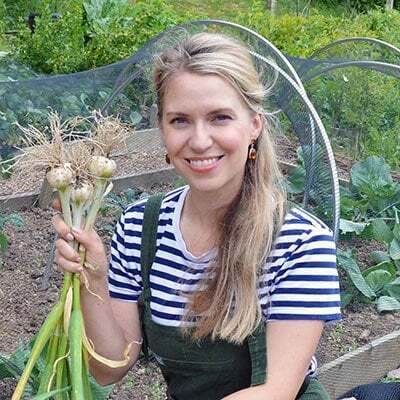 Sowing drifts of seeds is a great tip Caro! I might do that next year too since I did have some dominant types too. Great article, Tanya. I really like how you added the wild flowers in between perennials and herbs, and I enjoyed the monthly development shots. I have a sea of cornflowers (Batchelor’s Buttons) in my garden and they are permanently covered in all kinds of pollinators. They are stunning at their peak but they need a lot of deadheading and reseed like crazy! I love the casual beauty of cottage gardens and yours is lovely. Nice job!